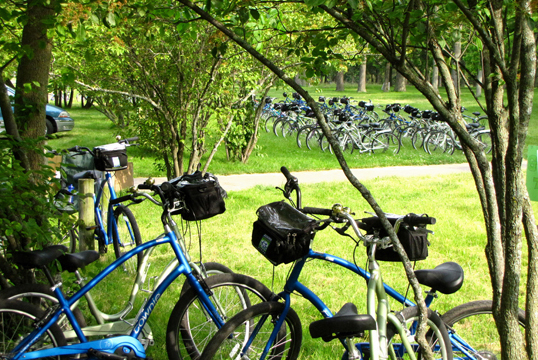 Our fleet of bike rentals include modern comfort cruisers for easy cycling, and comfortable efficient hybrids. We also have a full selection of child seats, trailers, trail-a-bikes, and tandem bikes. FREE Delivery & Pick up of full day rentals within 10 kms of our store. 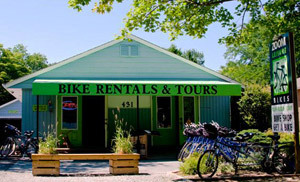 A flat $10 charge applies to 1/2 day rentals or single bike rentals with delivery. We deliver to other locations. Please call for a quote. Would you like to have your bikes picked up somewhere else? We would be happy to do this. Please arrange with us at time of rental. We will hold your bikes for 1 hour past the requested time at which time we will open them up for rental. If you are going to be later by more than 1 hour a courtesy call will ensure that your bikes are waiting for you on arrival. Bike rentals are a weather dependent activity. If you need to cancel for any reason please give us a courtesy call up to 2 hours prior to time of your rental. We will not charge anything to your card and we would hope to see you on your next trip to the area. This policy does not apply for larger rental groups (over 10) or tours – please see tour cancellation policy here.